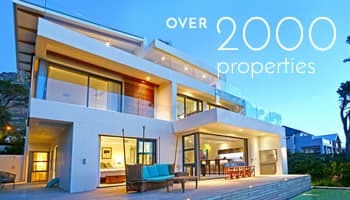 Llandudno accommodation, villas, penthouses and homes are part of an exclusive beach area along the Atlantic Seaboard. Stay in this quiet private area for a purely extravagant experience. Where can you stay that keeps you close to Cape Town, directly on one of the white sand beaches – yet no-where near the over commercialized tourists traps that attract thousands of people every year? For many distinguished travellers Llandudno, Cape Town accommodation meets those needs. As a truly self-contained and commercial-free residential area, peace and quiet is king. This means that you can venture into the noisy city by day and party the night away at one of the Camps Bay hot spots, but you can still return to your Llandudno accommodation, villas, penthouses and homes. These are fairly secluded, extremely private and entirely secure from prying eyes. Check out our premium listings and choose your favourite luxury holiday home. A stay in the gorgeous area of Llandudno means a deeply ingrained sense of tranquillity that can only be discovered in a place with this level of exclusivity and beauty. You’ll immediately be struck by the powerful calm that comes from renting a quiet holiday house away from the energetic, and often draining city and tourist spots. If you need time to retreat and recover, do it here. Llandudno accommodation, villas, penthouses and holiday homes are among a very select group of residential homes that allow this kind of opulent lifestyle. Many artists, writers, actors and creative types come to the area in search of the next big idea – and regular walks down to the beach have inspired many successful creative works over the years. There is also a secret nudist beach that is infamous in the area, nestled away in a secluded cove called Sandy Bay. The Llandudno accommodation, villas, penthouses and self-catering rentals make for an amazing holiday filled with reflection, time away from stress, and enough inspiration to bounce back and be the best version of yourself when the trip is done. That in itself is invaluable! Llandudno accommodation, villas, penthouses and other holiday rentals in this area are typically at the top-end of the market in a location known for quality R&R. That means if you are going to party, you should make sure it’s out on the town and not at home too much. The closer you are to the famous splendour of the beaches here, the more your rental will cost. If you want the ideal beachfront holiday – getting a fully staffed villa on the beach here will be the best decision you have ever made. In Llandudno, Cape Town accommodation suits apartment and penthouse-style living, due to the unmatched views you get from your rental every day. If you dream of golden sunrises and multi-coloured sunsets against a blue ocean, consider renting in a high-rise. When it comes to Llandudno accommodation, villas, penthouses and self-catering units are fully serviced for long-term stays, or short-term holidays. Consider the people you are bringing on your vacation and the needs they may have. A harmonious holiday is a happy one, so before you book make sure that your choice is the best of them all. 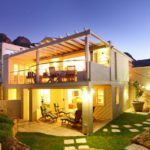 The Llandudno properties for rent are of the highest standard, come fully equipped for short and long term stays, and are some of the most breath-taking properties in SA. The rentals here are owned by some of the world’s most influential people, and it shows. Here is what you need to know about renting one of these exquisite properties. Llandudno accommodation, villas, penthouses and studios all meet the exacting standards of top-notch beachside living. Entering the area means you are retreating into a cove that is totally apart from surrounding areas. Enjoy a variety of different sized properties that will accommodate small families, or large ones. Rent a spacious Oceanside villa or tuck yourself away in a cosy penthouse for 2. The private beach cove is always there in case you spend too much time inside. The villas here are fit for royalty and are furnished with the best materials, appliances and décor that money can buy – for your on-going comfort. Each penthouse towers over the exclusive beach, and many travellers have said that the mood during a sunset or sunrise is unlike anything they’ve felt anywhere in the world. With these sort of views, you are bound to be inspired yourself. Llandudno accommodation, villas, penthouses and apartments are situated in a small suburb, which means that they are very often rented out. As the preferred area for quiet souls looking for something more than what most holidays offer – you’ll have to book your spot well in advance. The business retreat: You’ve been working too hard for too long and need a serious break. Somewhere no-one can bother you, with unparalleled views, and a community of friendly people just beyond the seclusion. Celebrities: Llandudno accommodation, villas, penthouses and studios are perfect for celebrities that don’t want to be bothered, need peace and quiet and don’t want to have to deal with paparazzi, noise or the pressures celebrity life brings. Couples: Sometimes a place for 2 is all you need, but it would be so much better if you could disappear with that person for a few weeks in paradise. Llandudno is a great place to disappear to, especially if you happen to be nudists. Find your affluent Llandudno accommodation, villas, penthouses and holiday homes in our collection of prime properties, and finally enjoy that getaway that actually takes you away from stress!